This cap back formed part of a headdress, known as a ‘lace head’ in the 18th century. 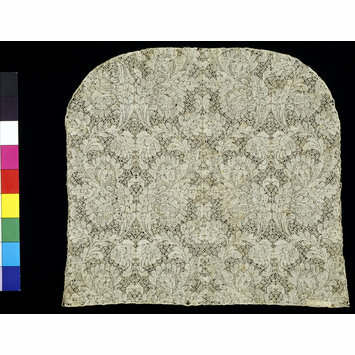 It was composed of a curved panel, the cap back, to which two long streamers were attached, called lappets. 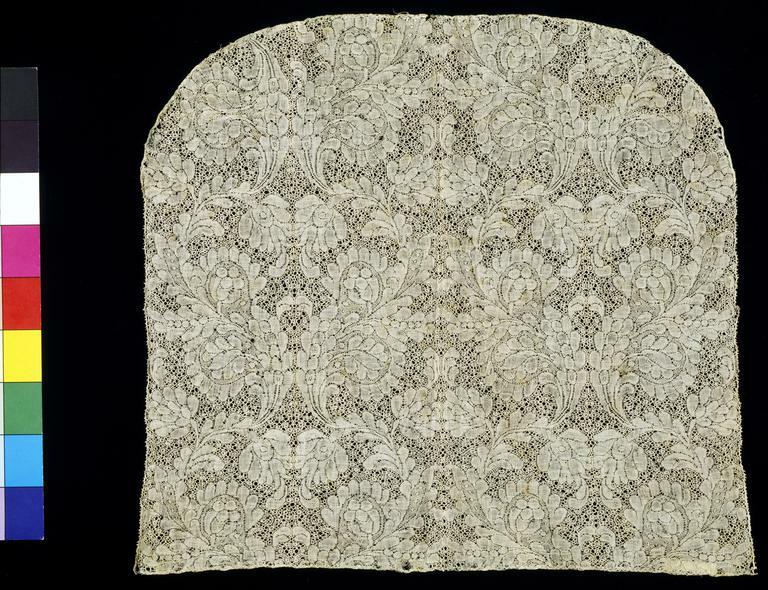 The whole ensemble was finished with a lace frill. The lappets might be pinned up on top of the head in pleats, but more usually were left to hang loose, fluttering with the slightest movement.